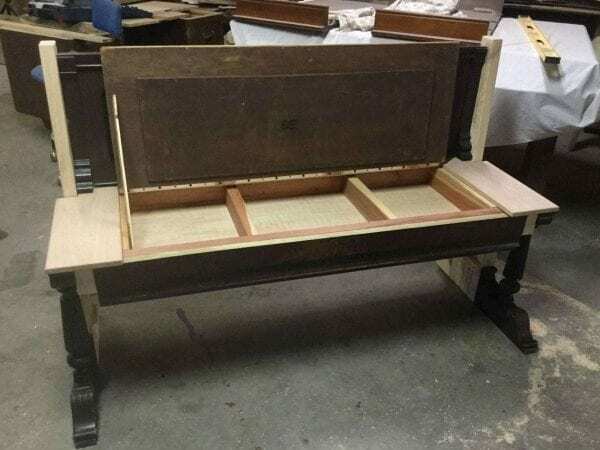 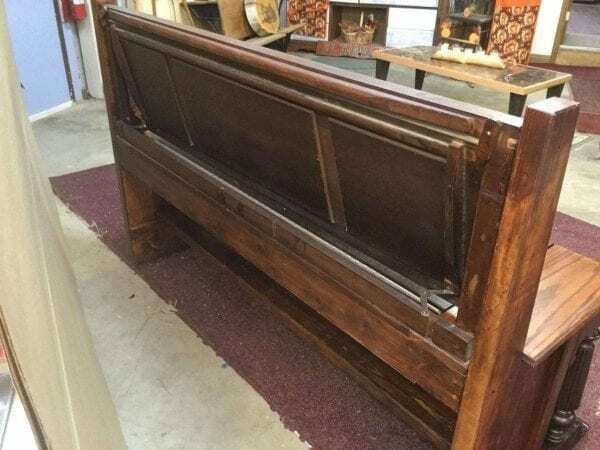 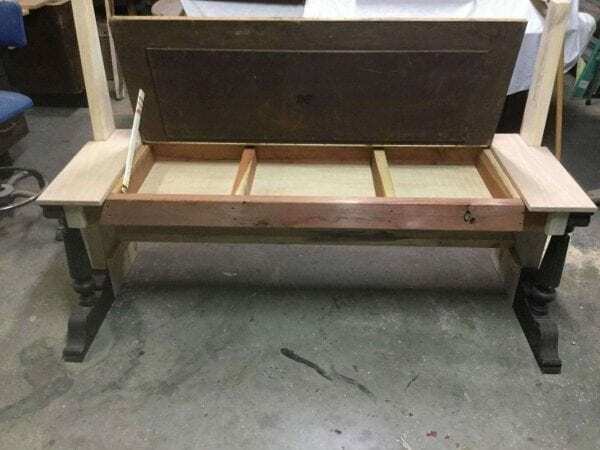 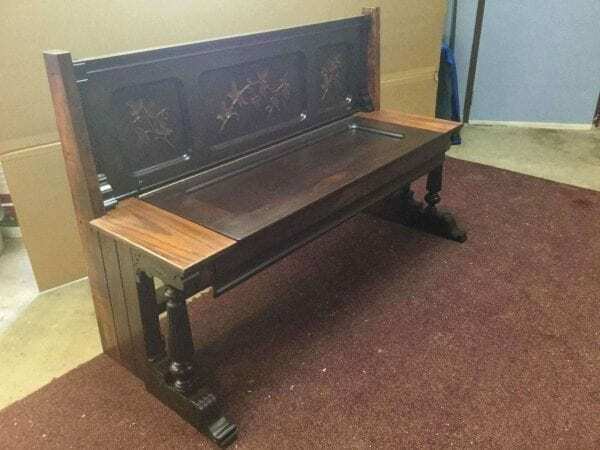 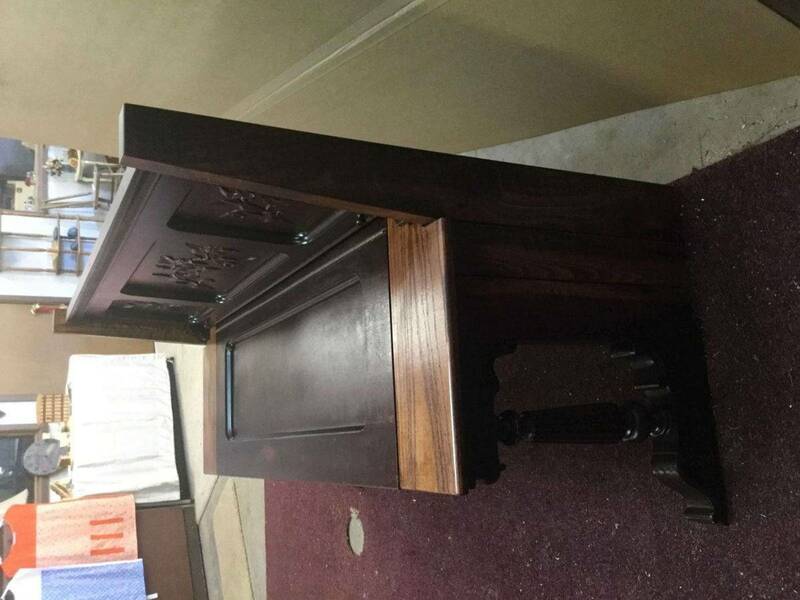 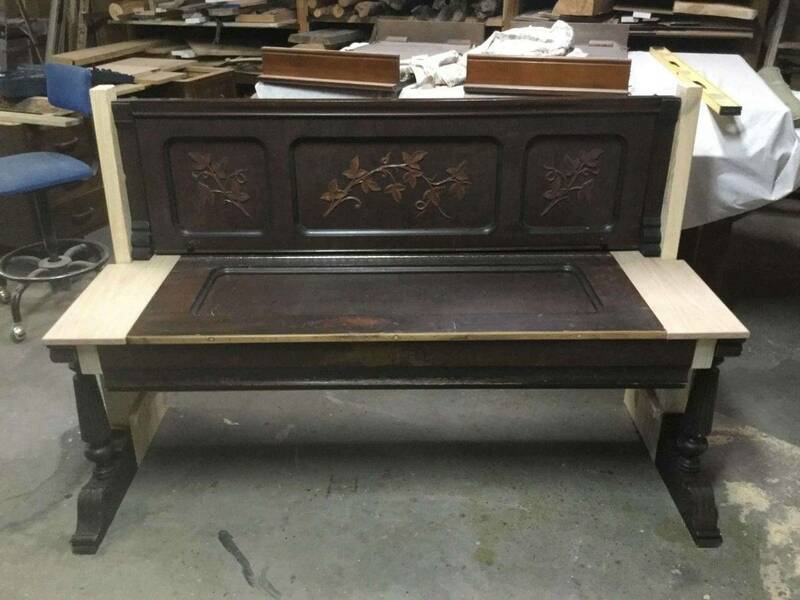 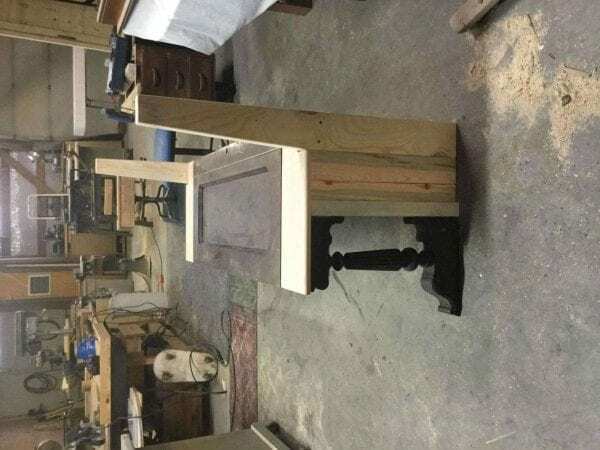 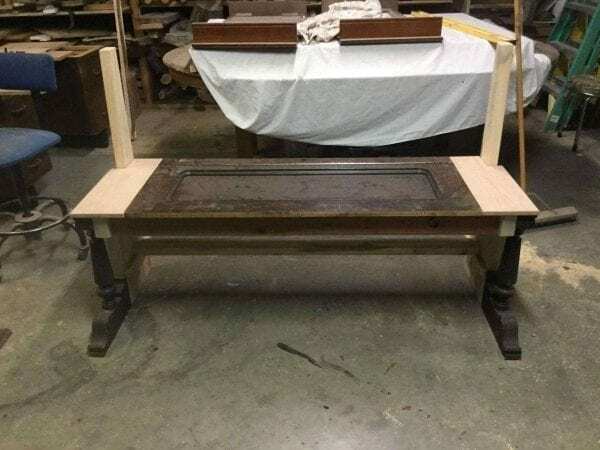 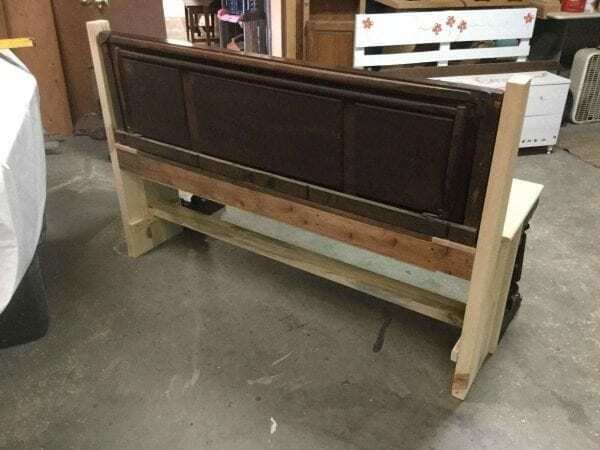 I had a client that reached out to me because she had pieces from her great grandmothers piano…she has toted them around for several years… from Texas to California and now in South Dakota. She has been trying to find someone to take these pieces and make them into a bench. 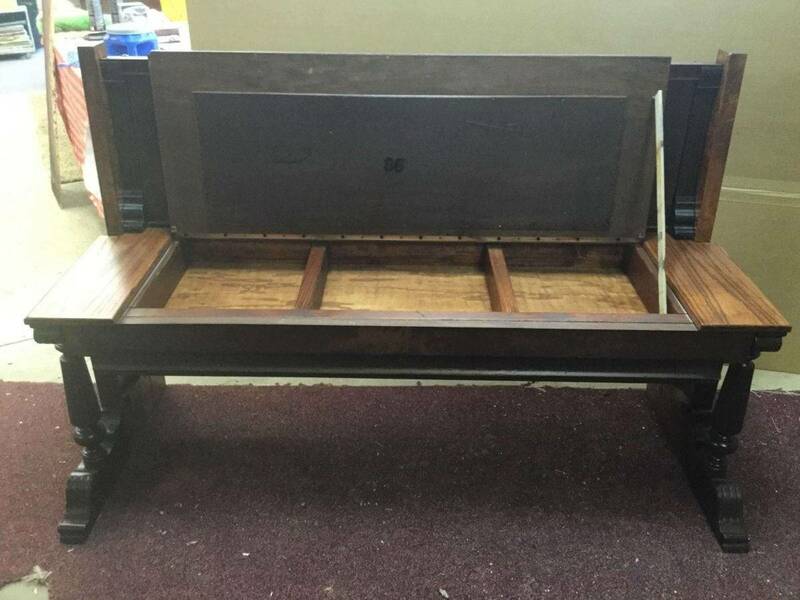 So this is what we came up with…I think it turned out beautiful. 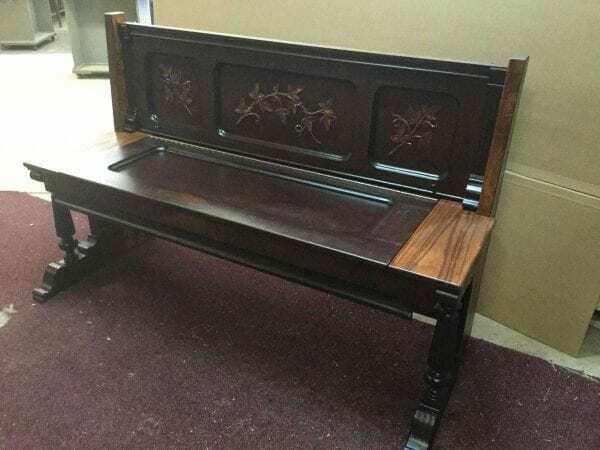 Our customer even cried when she saw it and kept hugging us. 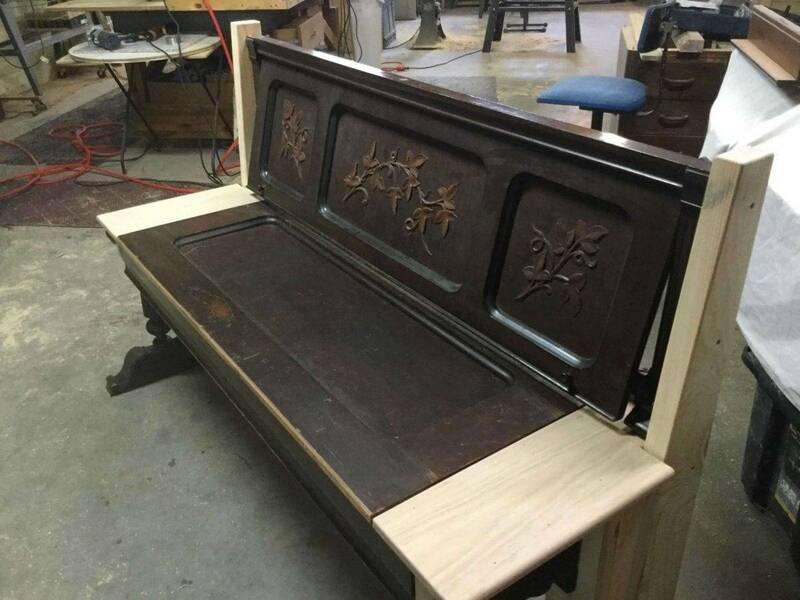 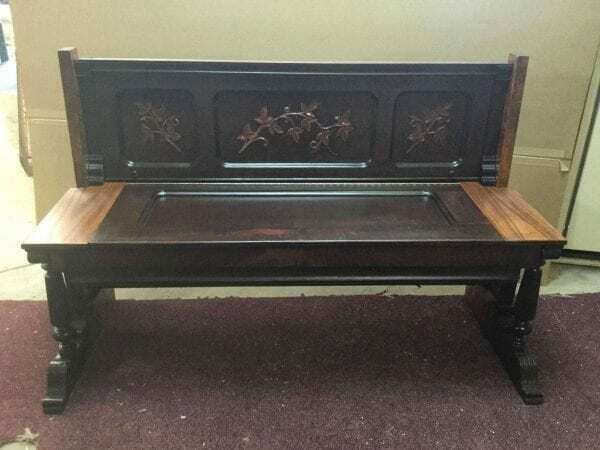 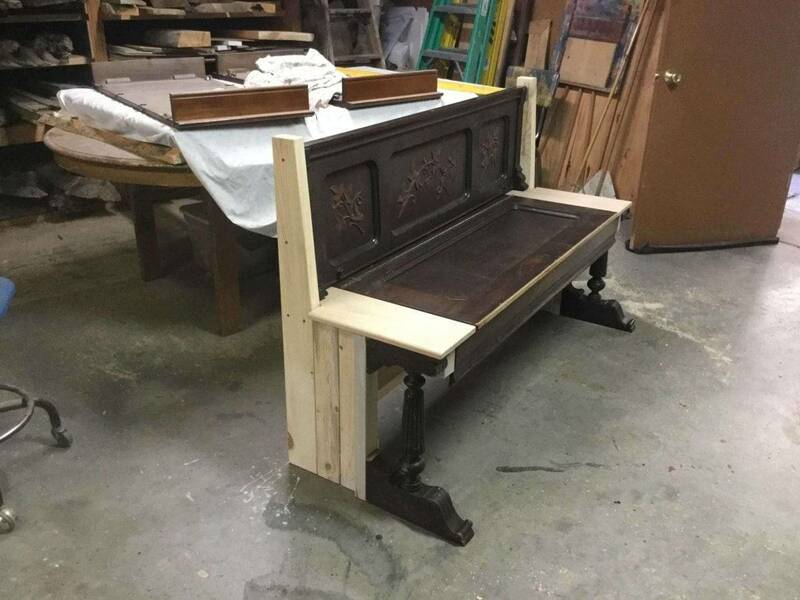 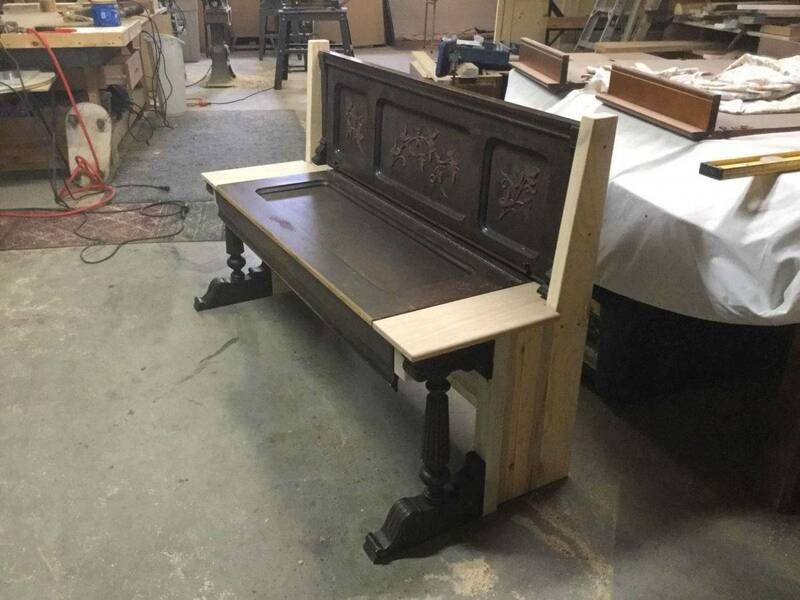 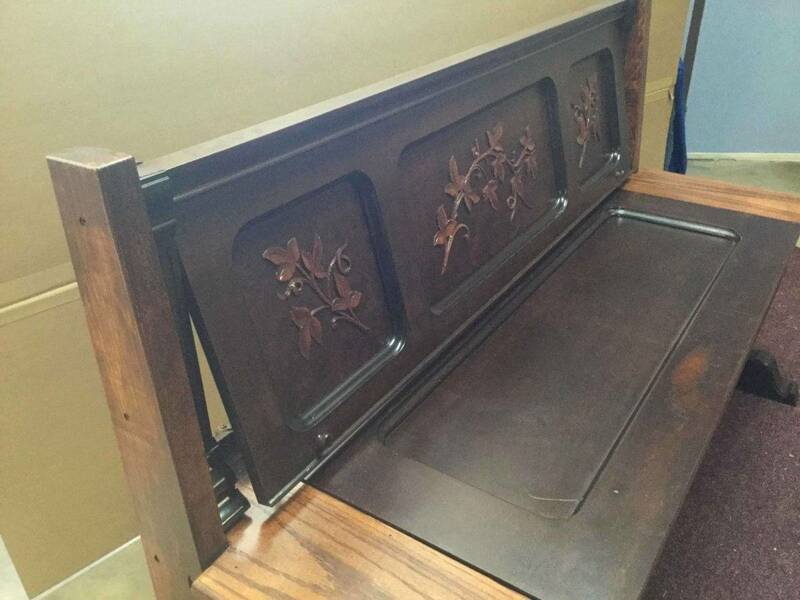 She is going to put in in her front foyer with a picture of her great grandma playing the piano above the bench. 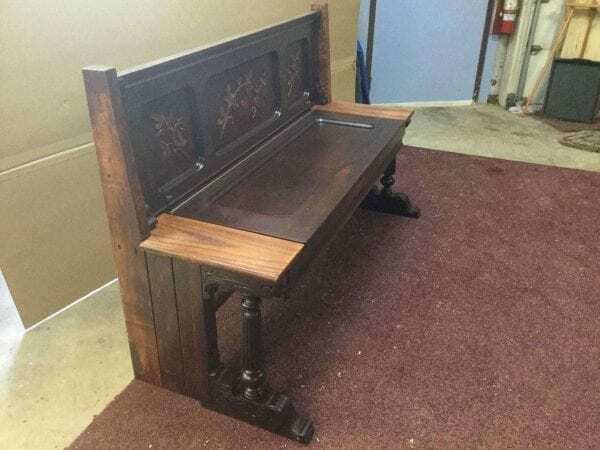 Luved this project.